What is ALPHA? ALPHA is a series of sessions exploring the Christian faith, typically run over eleven weeks. Each talk looks at a different question around our faith and is designed to create conversation. ALPHA is run all around the globe, and everyone is welcome. Maybe you haven’t even heard of the ALPHA Course. This course is sweeping across America and is rapidly spreading around the globe. Many denominations are using it to help people understand the Bible and biblical doctrines. 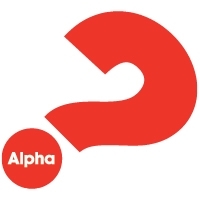 What exactly is the ALPHA Course? It is a course in the basics of the Christian faith. In general, it is a fly-over look at God and the Bible. It was the brainchild of the Holy Trinity Brompton Anglican church in London in the 1980’s, so it has been around for over 30 years now. ALPHA has been hailed as a way to explore the meaning of life and is being widely used in churches, homes, prisons, universities, and a variety of locations. There are specific courses for specific locations and vocations, like Alpha in the Workplace, Alpha for Prisons, Senior Alphas, Student Alphas, and several others. Today, over 35,000 courses have been offered in over 170 countries and almost 20 million people have taken the course. AND WE WILL BE OFFERING IT HERE AT GOOD SHEPHERD beginning on Wednesday, January 30 at 6:30 PM. The sessions will begin with FELLOWSHIP & DESSERT followed by a short DVD presentation and small group conversation and should last approximately 1.5 hours. There is no charge for the course. The sessions will be facilitated by Larry Fees. Please sign up at the table in the Parish Hall if you are interested. Feel free to call Larry at 248-320-1643 or email him at lfees1@gmail.com.